A great looking downhill par five back to the clubhouse. A well struck drive over the hill will allow the bigger hitters to reach the green in two. Favour the left side from the tee as the fairway slopes from left to right. 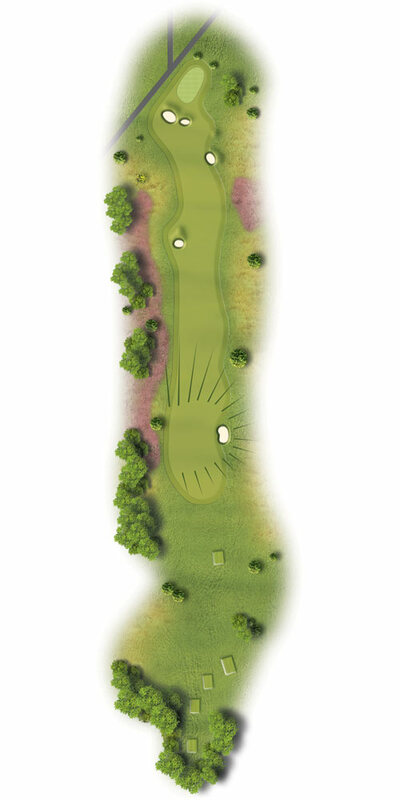 A longer shot into the green will need to be fed in avoiding the cross bunkers just short of the green. Two good shots here to offer an early birdie opportunity. A drive will finish short of the fairway bunker allowing a full view down the hole. Avoid the fairway bunkers with your second shot to leave a short iron/pitch into the green. The ball will run downhill and plays considerably shorter so factor this in when calculating your shot.